Access Latin America from Newsbank is on trial until 27th March. Access Latin America provides indepth coverage of local and regional issues and events via news sources from South America, Mexico, Central America, the Caribbean and U.S. territories. These daily and weekly newspapers, wire services and broadcast transcripts chronicle local issues and events at their source and provide revealing local perspectives on national and international issues. Annual Review of Linguistics – this new e-journal is on trial for the whole of 2015. It will cover significant developments in the field of linguistics, including phonetics, phonology, morphology, syntax, semantics, pragmatics, and their interfaces. Reviews will synthesize advances in linguistic theory, sociolinguistics, psycholinguistics, neurolinguistics, language change, biology and evolution of language, typology, as well as applications of linguistics in many domains. 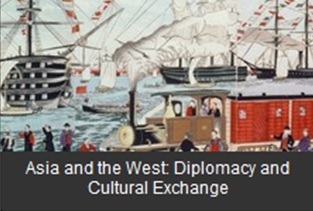 Asia and the West: Diplomacy and Cultural Exchange from Gale Cengage is on trial until 25th March. It features primary source collections related to international relations between Asian countries and the West during the 19th century. These invaluable documents—many never before available—include government reports, diplomatic correspondences, periodicals, newspapers, treaties, trade agreements, NGO papers, and more. Documents are sourced from The National Archives, Kew; The National Archives, United States; and other collections. 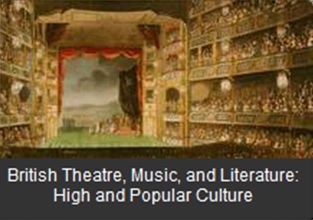 British Theatre, Music and the Arts from Gale Cengage is on trial until 25th March. It features a wide range of primary sources related to the arts in the nineteenth century, from playbills and scripts to operas and complete scores. These rare documents, many of them never before available, are sourced from the British Library and other institutions. Curation is by experts in British arts history. Covering more than a century, and encompassing both the Georgian and Victorian theatre. 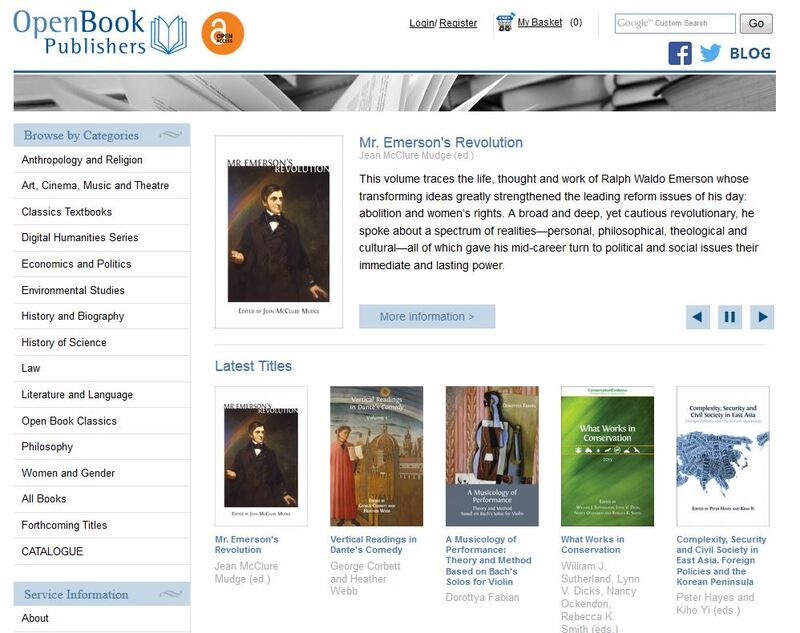 The Encyclopedia of Political Thought is on trial until 25th March- see full information about this e-resource over at the SPS Blog. Foreign Broadcast Information Services (FBIS) Daily Reports: Latin America, 1974-1996 from Readex is on trial until 27th March. As the United States’ principal historical record of political open source intelligence for more than half a century, the Foreign Broadcast Information Service (FBIS) Daily Report is an indispensable source for insights into decades of turbulent world history. The original mission of the FBIS was to monitor, record, transcribe and translate intercepted radio broadcasts from foreign governments, official news services, and clandestine broadcasts from occupied territories. Accordingly, it provides a wealth of information from all countries outside of the U.S.—from Afghanistan to Zimbabwe – only the Latin American module is available for this trial but we already have access to other modules. Latin American Newspapers, Series 1 and 2, 1805-1922 from Readex is on trial until 27th March. This newspaper package offers unprecedented coverage of the people, issues and events that shaped this vital region during the 19th and early 20th centuries. Featuring titles from Argentina, Brazil, Chile, Cuba, Guatemala, Mexico, Peru, Venezuela and a dozen other countries, these resources provide a wide range of viewpoints from diverse Latin American cultures. Together, both series of Latin American Newspapers chronicles the evolution of Latin America over two centuries through eyewitness reporting, editorials, legislative information, letters, poetry, advertisements, obituaries and other items. 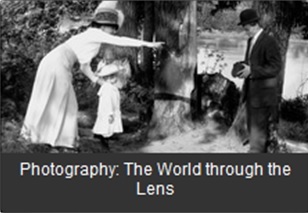 Photography: The World Through the Lens from Gale Cengage is on trial until 25th March. Including images from Britain, Europe, Asia, Africa, and the Americas, Photography: The World through the Lens assembles collections of photographs, photograph albums, photographically illustrated books and texts on the early history of photography from libraries and archives from across the globe. This entry was posted in Trials and tagged Access Latin America, American Antiquarian Society, Annual Review of Linguistics, Annual Reviews, arts, Asia and the West: Diplomacy and Cultural Exchange, Behavioral, Caribbean Newspapers, database, E-book, e-journal, Education, Encyclopedia of Political Thought, Foreign Broadcast Information Services (FBIS) Daily Reports, Gale Cengage, Humanities, Latin American Newspaper, Newsbank, Physical and Environmental Sciences, Readex, Social, Wiley on February 27, 2015 by eresources.